Do you have a taco night at your house? We do, just not every week maybe once a month. When all our kids were at home we had tacos on the menu for dinner more often. The kids and Mike love tacos, for me I am one that can take them or leave them. Usually on taco night I prefer a taco salad. 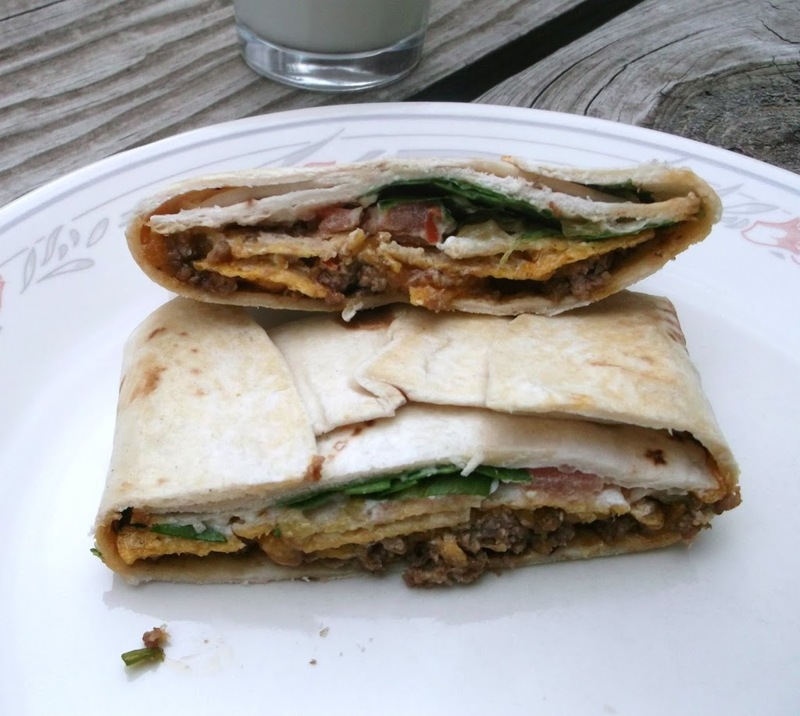 A couple of weeks ago I was looking on Pinterest and I ran across this recipe for a Crunchwrap Supreme, I guess they are sold at Taco Johns. They looked interesting and I was quite sure that Mike and our son Adam would enjoy these. Adam actually told me that he has eaten these at Taco Johns before, but the ones that were made at home tasted better than the ones from Taco Johns. For me I actually liked these, I thought they were much better than the tacos that usually grace our table. 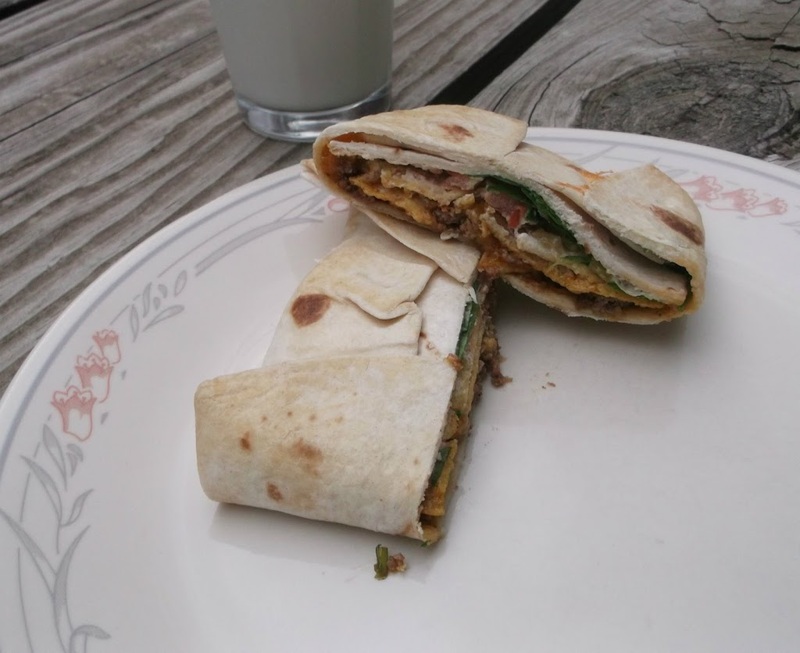 The tortillas were nice and crunchy and I enjoyed the sour cream that was added before you cooked the Crunchwraps. We served them with some salsa, which also made the flavor a little tastier. If you are getting a little bored with your usual taco night fixings, I think that this recipe would be a great alternative. I know that we will be serving these again. I think that the next time I might try mine with a little chicken. I know that would make them even a little better for me, but if you like ground beef you can stick with that. Brown ground beef in a skillet until done, add the taco seasoning (can follow the directions on the package). Set aside. If using corn tortillas bake them in the oven at 400 degrees for a couple of minutes, until they are golden brown. If you are using tortilla chips there is no need to bake). Microwave the flour tortillas, one at a time (because they cool off quickly), for about 10 seconds to warm them up, this will make wrapping easier. You could also warm them up in the oven; just wrap them in aluminum foil and heat them up for about 10 minutes at 350 degrees. Lay out the flour tortilla. Spoon some of the seasoned beef into the center of the tortilla. Top with some cheddar cheese. Place the tortilla chips (about 3 of them depending on the size) on top of the cheese/beef; spread with a dollop of sour cream on top of the chips then add some lettuce, diced tomatoes, and chilis. Starting with the bottom of the tortilla, fold the edge up to the center. Continue doing this in a clockwise or counter-clockwise movement until all of the tortilla is folded over, and the filling is entirely enclosed. 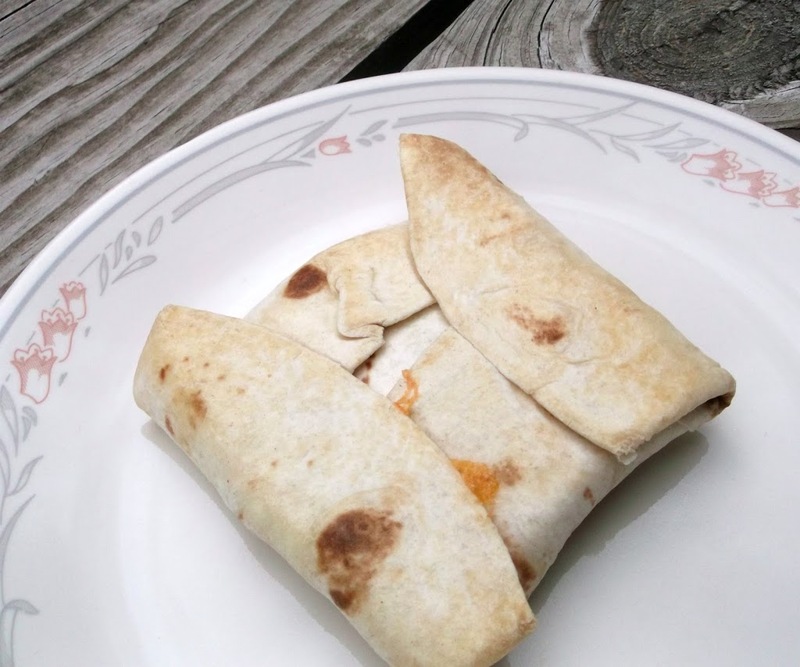 If your filling isn’t entirely enclosed and you have an open spot, simply cut out a circle from another flour tortilla and place it on the exposed area, the wrap the tortilla again. Spray a frying pan with cooking spray. Carefully place the Crunchwrap, seam-side down, in the pan. Press with a spatula and cook on medium-low heat, for about 3 minutes, until the bottom is nice and brown. Flip it over and cook for another 3 minutes. Serve immediately and enjoy! I’m really glad I found this, I had something very similar at a meal out last weekend and I’ve been searching for a recipe. Thank you! Tacos are something we do only a few times a year – I don’t know why, because they’re so good. This sort of crunchy taco is new to me. I really like the idea, and the sour cream is brilliant. Good stuff – thanks. I wish I would have had this for lunch! We haven’t had taco night in so long – these are getting made at my next one! They look and sound utterly delicious! Like the idea of chicken too.